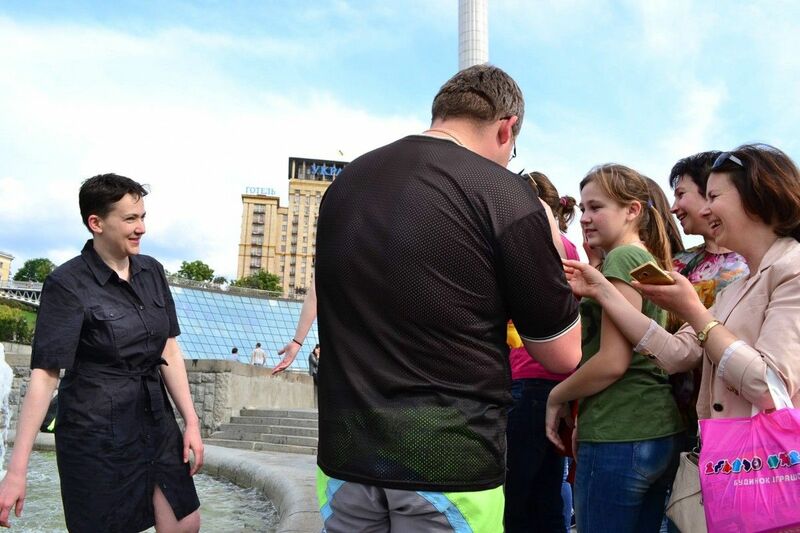 Ukrainian pilot Nadiya Savchenko, who finally returned home Wednesday morning after nearly two years in Russian captivity, has appeared on Kyiv's main square Maidan Nezalezhnosti (Independence Square) where she was talking to compatriots and enjoying the Ukrainian capital's fountains. 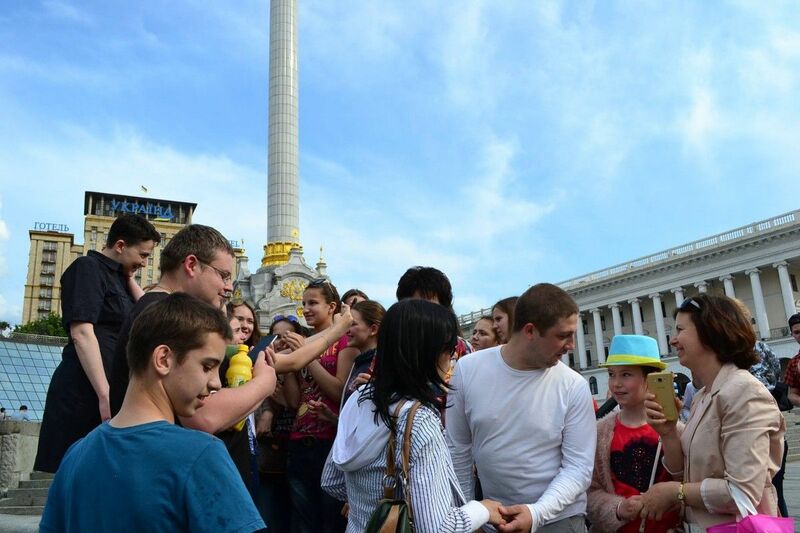 "Nadia is talking to compatriots, enjoying the fountains; she supports family members of captive hostages. 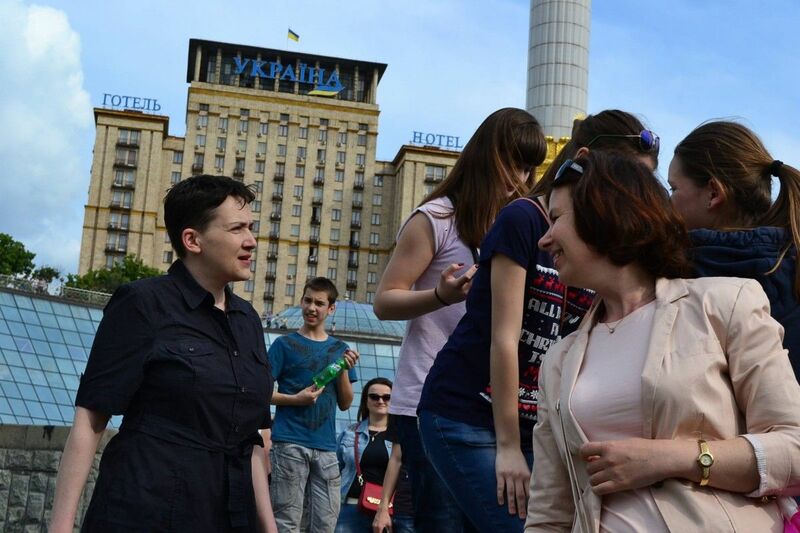 She is breathing the air of freedom and homeland … And I am happy that for the first time over the past two years I see her like this. 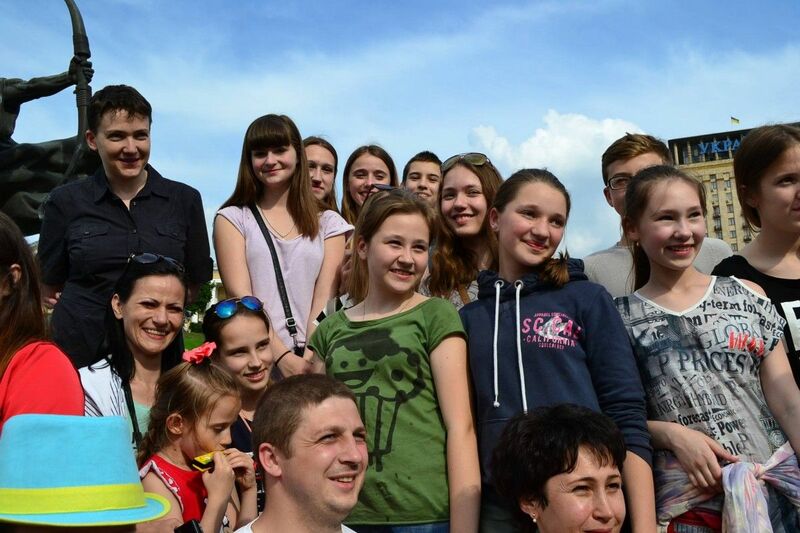 The cropped wings seem to be growing back," Savchenko's friend Iryna Yuzyk wrote on Facebook. 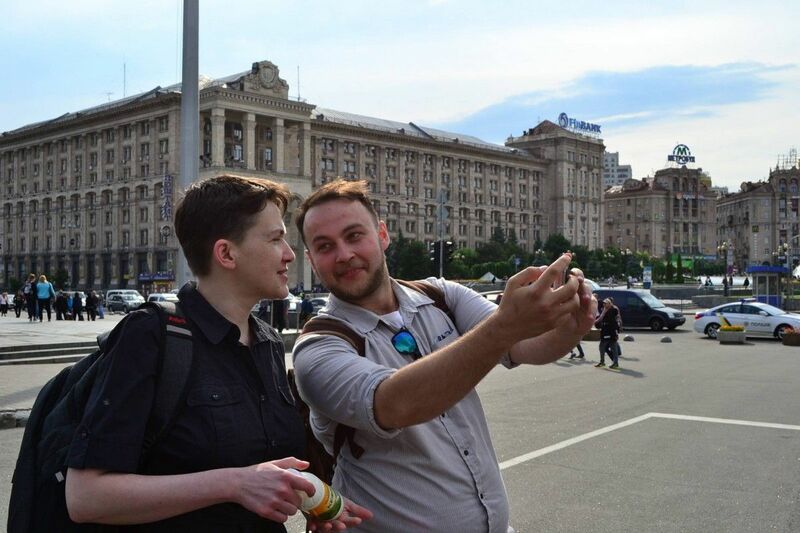 Read alsoSavchenko to become President if Ukrainians wish soAs UNIAN reported earlier, Savchenko was swapped for two Russian GRU special forces officers Yevgeny Yerofeyev and Alexander Alexandrov, who flew to Moscow on the same day when Savchenko returned home on May 25, 2016.